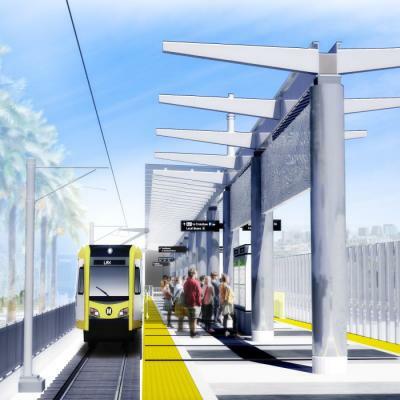 The past few weeks have been pretty monumental for the Crenshaw Line, the under-construction light rail that will connect the Green Line to the Expo Line and eventually offer a rail connection to LAX via a People Mover. A ceremony on Monday featured the huge tunnel-boring machine that will soon be lowered below Crenshaw and Exposition boulevards, assembled, and allowed to feast on dirt. 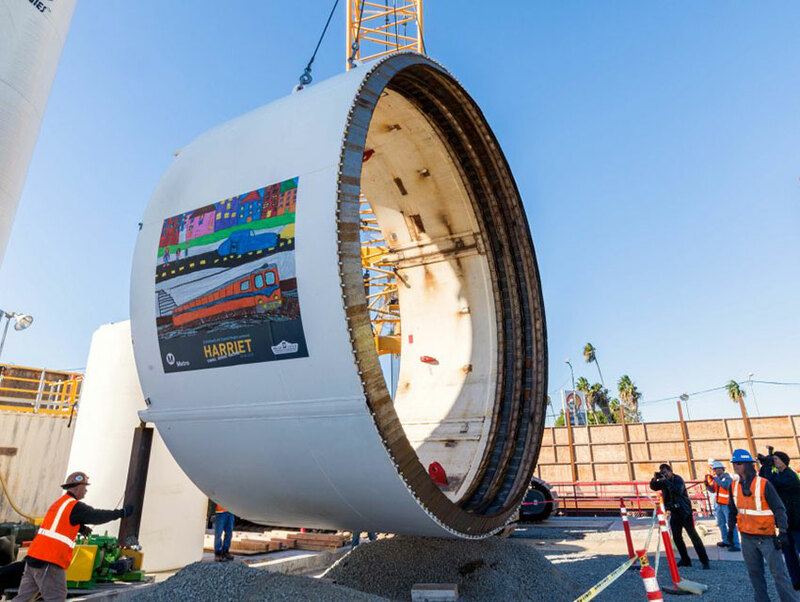 The machine will dig 60 feet a day and provide the tunnel and three underground stations for the line, including one in historic Leimert Park Village. Also on Monday, officials announced the name of the TBM: Harriet. Calvin Mosley, a junior at Inglewood’s City Honors high school, came up with the moniker to honor legendary abolitionist and Underground Railroad conductor Harriet Tubman. 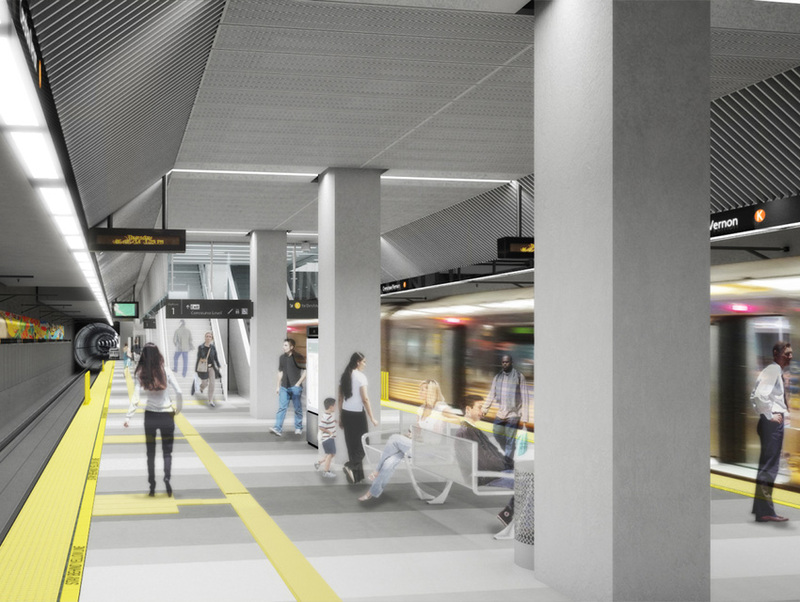 Additional Crenshaw Line news involves brand new renderings of some of the line’s stations, which include elevated, surface, and subway stops. While the station look pretty darn gorgeous, the imaginary people featured don’t seem to accurately represent the diverse South L.A. neighborhoods the line will traverse. We asked Metro about the mostly lily-white images.